Oil-less & low noise vacuum pump for research laboratories. Air quality generally relies on vacuum pump technology and obviously, oil-less compressors offer cleaner air by eliminating of oil particles. With a very low noise (< 50 dB), these quiet compressed air and vacuum terminal can be installed directlyclose to working laboratory employees. Because of their smart design these portable Air vacuum pumps are easily transportable and suitable for rapid installation in any spaces in each and every research laboratory. 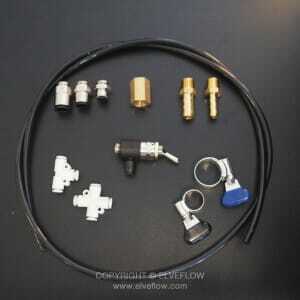 WHAT'S IN THE Oil-less & low noise vacuum pump KIT? In research facilities nowadays, oil-less vacuum is needed for a variety of lab purposes from filtration, degassing, distillation and many other operation processes. Here are some key features points to consider when comparing compressors. this soud isolated device incorporates an oil free vacuum pump in a convenient station, making it particularly well fitted to research laboratories needs. To help the installation and first use, it comes with all required connectors, and a power cord (1 ~ 230 V), installed directly on the box. This oil-less vacuum pump is a very reliable instrument that does not need maintenance, to keep delivering a high level of performance. WHY USING AN OILLESS AND LOW NOISE VACUUM PUMP IN A RESEARCH LABORATORY? BECAUSE AN OILLESS AND LOW NOISE VACUUM PUMP IS A key instrument FOR Any RESEARCH LABORATORY. A vacuum pump, also known as a laboratory vacuum source, is a essential device in state-of-the-art laboratories. It can be used for a variety of processes, from providing clean oil-less vacuum to a Microfluidics Pressure Controller, to scientific laboratory processes such as aspiration, desiccation, filtration, solvent degassing, and the use with pipettes and rotary evaporators. 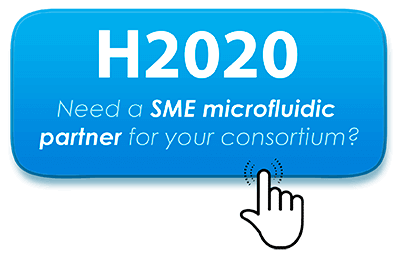 Where to use an Oil-less & low noise vacuum pump for research laboratories in your microfluidics setup? An Oil-less & low noise vacuum pump for research laboratories is, as the name suggests, the vacuum pump of a microfluidics installation. As a consequence the low noise vacuum pump should be connected to a pressure controller to supply oilless and clean vacuum to the connected devices. How to connect your OILLESS AND LOW NOISE VACUUM PUMP IN A RESEARCH LABORATORY? 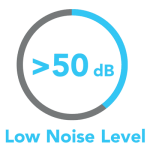 Prior to ordering an oilless and low noise vacuum pump for you research laboratory, you should look over the AC Voltages and Frequencies that relate to your country. Unpack your oilless and low noise vacuum pump for a research laboratory and cautiously read any User Manual and then keep these documents in a safe place to study it in the future. Link your oilless and low noise vacuum pump for research laboratory to your flow control device using provided pneumatic tube and fittings. 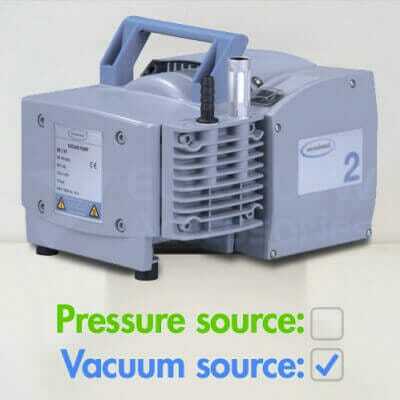 Connect the power cord of your oilless and low noise vacuum pump for research laboratory in any electrical slot of your lab. 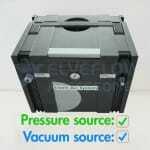 Note: as many plug & slot types exist, you may verify that the plug supplied with your oilless and low noise vacuum pump for research laboratory is relevant to your country and lab equipment. Start your oilless and low noise vacuum pump for research laboratory and enjoy the clean and quiet air operation.